One day, a poor high school second-year named Fuutarou Uesugi comes across a private tutoring gig with good pay. But his pupils are his classmates!! And they’re quintuplets!! They’re all gorgeous girls, but they’re troublemakers who hate to study and are on the verge of flunking out. And his first task is simply gaining the sisters’ trust?! Every day is a party! 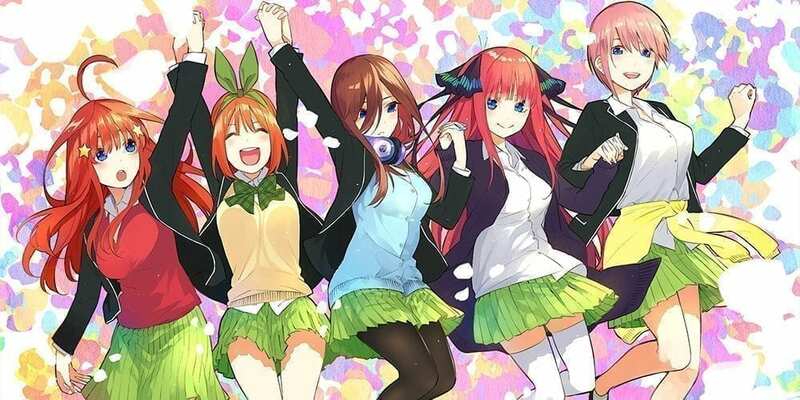 The curtain is rising on the Nakano quintuplets’ quirky romantic comedy with five times the cute! !